Some thoughts on Mexico and street shooting there. Our month of traveling all over Mexico has come to an end. Like I did previously for Turkey and Cuba, it is time to put together a few thoughts on this great “road trip”, as well as some impressions on shooting street photography in Mexico. 1) Mexicans are probably the most pacific people I have ever met : courteous, helpful, smiling and always with that special “take it easy” attitude. Cars stop to let you cross the street and there is no need to separate opposing fans at football stadiums, they’ll just sit quietly next to each other . It makes it quite difficult to understand the extreme violence generated by the narcos can even exist in this country. 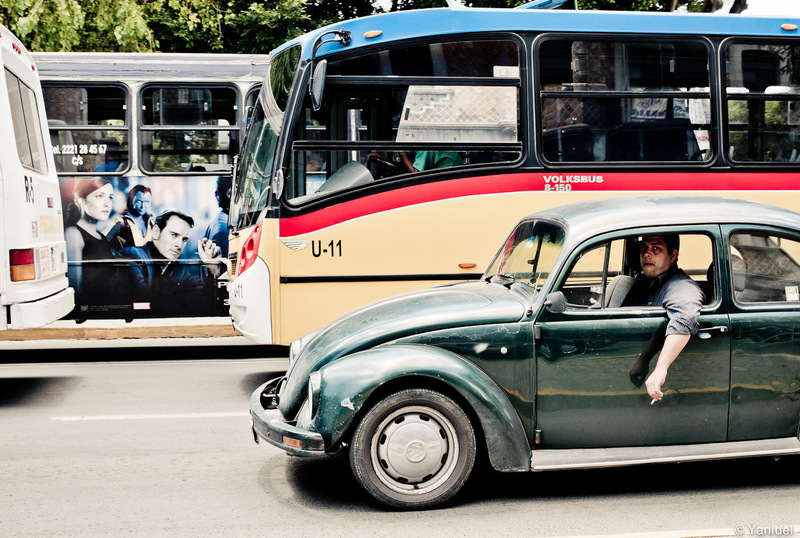 Though you’ll be comfortably seated in your bus, still expect long hours in traffic jams, especially in Mexico City. 3) Food was a bit disappointing, especially when your travel partner is vegetarian. You can eat very cheap in the streets yet you expose yourself to all kinds of stomach troubles. Expect the same from spicy foods, at least for the first couple of weeks. Other than that, restaurants are ok, you can find decent full course meals for about US$ 5 to 10, but they tend to all propose the same menu. 4) In terms of street photography, people reacted pretty well to being photographed in large cities. I got a lot of smiles back and a few indifferent looks. It got much tougher in Chiapas where natives do not want their picture taken. Indeed, they are superstitious and think you are capturing their soul. Expect therefore to face some pretty strong reactions if you shoot them. I elected to respect their belief and took only a few shots in case where I felt the scene conveyed a good message. 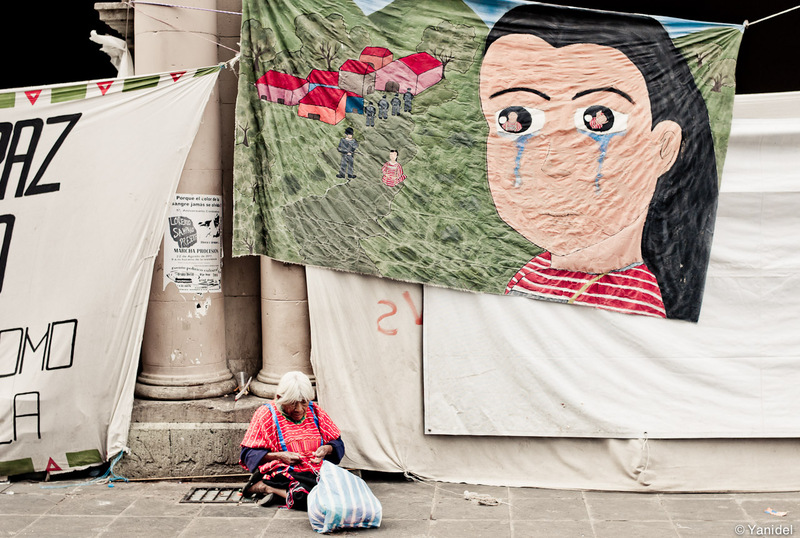 A native sells crafts in the street under a painting condemning Rural Exodus. 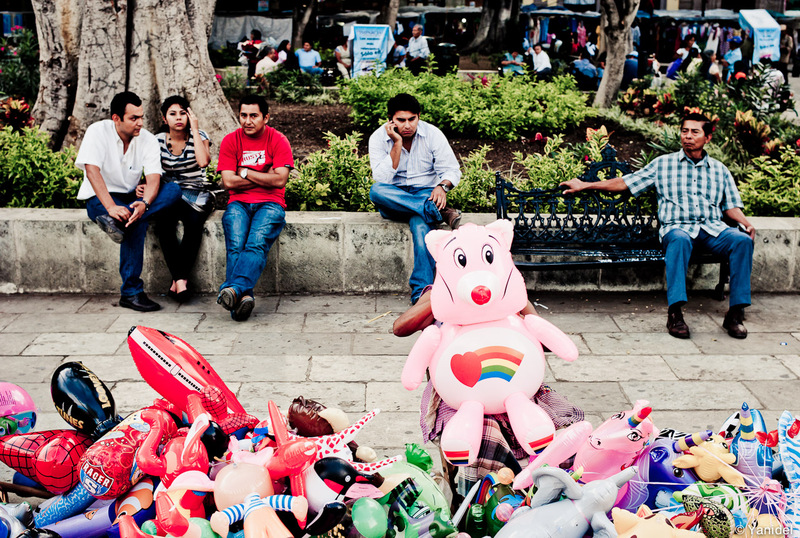 Looking back at the street shots I took in Mexico, I am not too satisfied. I did not connect to this country as I did in Turkey or Cuba. On one side I thought middle and upper class Mexicans looked alike due to a clear lack of creativity in terms of clothing and look (I really miss Paris sometimes). On the other side, many scenes belonged to what I refer to “the poverty shots”, which I am not especially interested in. Add to it that most cities’s downtowns are very similar (a large square, dozens of street vendors, and people quitely wandering around ) and I found myself uninspired many times. Most cities Zocalo (main square) look like the depicted in this picture. Finally, let’s mention the problem of safety which does not allow you to get off the touristic areas in most cities (San Miguel and Merida being exceptions). 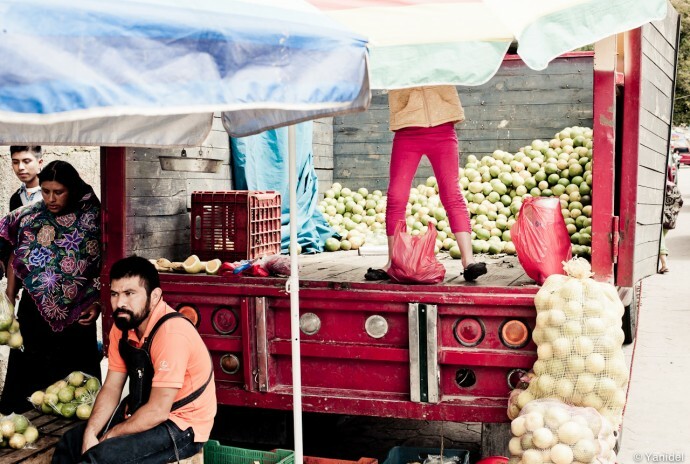 Indeed, it makes it difficult to shoot in popular neighborhoods and get a real feel of every day life in Mexico. I am sure that it would be possible, but when you spend 2-3 days in a city, you just don’t have enough time to assess the risk level you are taking by getting off the beaten paths. Unluckily, this leads to many shots being stereotypes or that seem to have been taken from the little tourist train that take you around the city. San Cristobal de las Casas seems very quite and friendly, yet it is not recommended to venture out of the downtown area. All in all, I’d go about it differently in a next visit to Mexico. I’d pick a city or two and get to know them very well. I’d also meet more locals, let them introduce me to their neighborhood and slowly immerse myself in their daily life. 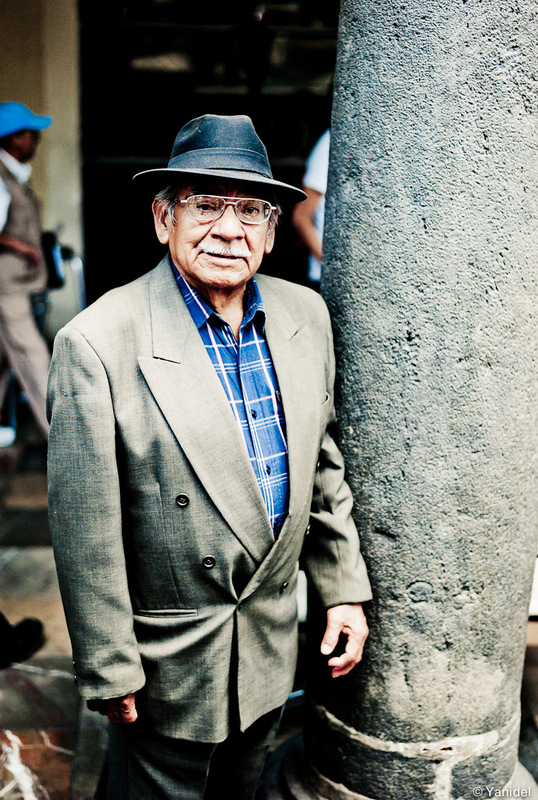 The touristic offer is very large in Mexico, so when you are running between Pre-Hispanic ruins, the beach, Tequila factories and historic towns, the time left dedicated to street photography is reduced to a minimum. Add to that the constant heat and humidity (leading to long midday siestas) and my camera actually stayed a lot in my bag during this stage. I have kept 400 pictures from our stay here, which makes an average of about 15 picture a day. Definitely not a big production for a street photographer. Best tip : Take a siesta from 13h to 16H. It is simply too hot to stay outside, and there won’t be much people in the streets anyways. If you ever come to monterrey I will gladly take you arrownd to some nice places where you can have a street shoot. Very nice pictures. What you really need in the case of Mexico City, is to know a local who can take you to not-so-cliché areas which are not that risky. Hi, im very sad you could not find that interest shots you wanted, we have cities full of culture and history but definitely you need a local, im very proud of what we can find here at Mexico, of what you say about clothing, I really agree with you, and the places you can find those people with style, are not very popular, and yeees!! it not secure anywhere you go, but you can have that shots, i’ll recommend Monterrey, Aguascalientes, Michoacán, Querétaro, Zacatecas, Puerto Vallarta… i really hope you can come again and me to be your local at Monterrey i would be pleased… Thanks for making your comments some of what you said are very good points for all mexicans to rethink. 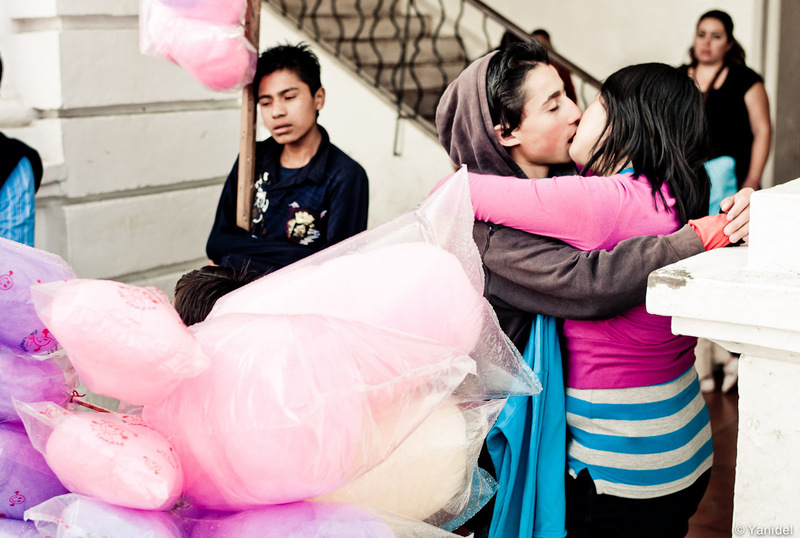 I agree with your general assessment about street photography in Mexico. People here do not care about looking fashionable or distinctive. It just is not a concern or a priority or an option. Those with the money would rather spend it on anything before considering an expensive designer item. Personally, I love the look of downtowns here -colonial hispanic- and I think they make great backgrounds, but I agree that all of them were designed and built the same way. Probably the most difficult for any foreign street shooter in Mexico is avoiding folklore and the touristy "here's a poor indigenous old man smiling at you" type of shots. Mexico city is a great town for street photography, but you need to invest a lot of time on each of its locations to figure out what kind of street shot works best. I think you are right in many points but I disagree on others. I think as you mention in your conclusion, you need to meet locals who will guide you and immerse you into the culture… since yes we have tons of street food stands that sell the same thing but they don’t represent our enormous gastronomic offer… Mexicans will know where to take you. It is too bad you felt like you didn’t connect and felt uninspired… I’d say a good starting point would be for you to visit during the dates where we have either a national festivity or cultural tradition (eg. Independence day, Day of the dead, Beginning of Spring, etc) … this might be the little kick to get you into it, since there’s so many elements to photograph. I see you visited Merida… it is one of my favorite places in Mexico, hopefully next time you visit you’ll get to taste the amazing Comida Yucateca, which in my opinion is the best from all Mexico’s regions. Good luck, I look forward to see more of your photos!